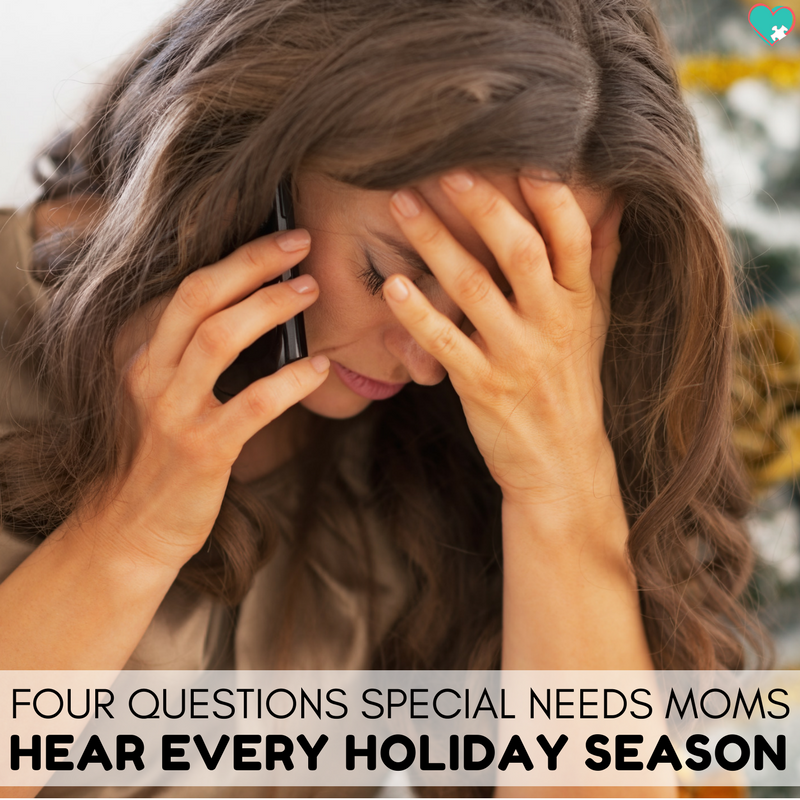 The holidays can be stressful for everyone, but when you’re a special needs parent it takes on a whole ‘nother level. The holidays cause a huge change in routine for months at a time. School and therapy gets canceled, you visit family you wouldn’t normally see, and you go to new places with strange foods and smells and experiences. 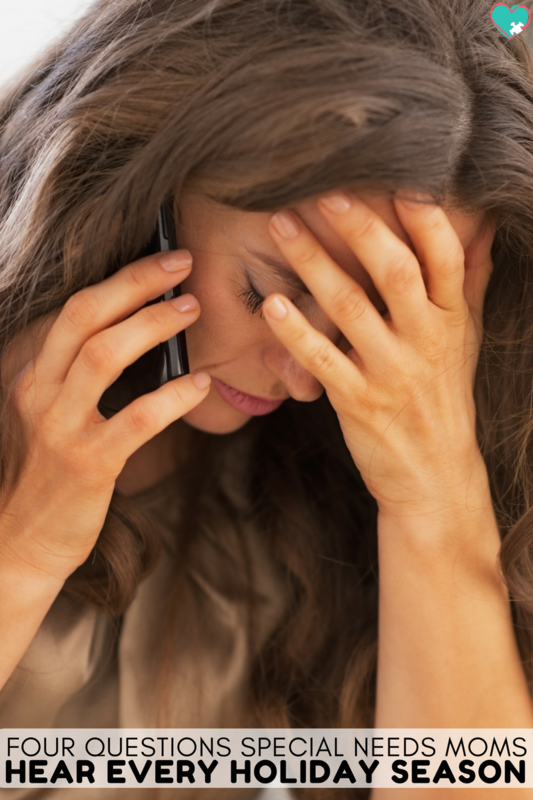 You also face a lot of questions from well-meaning friends and family. 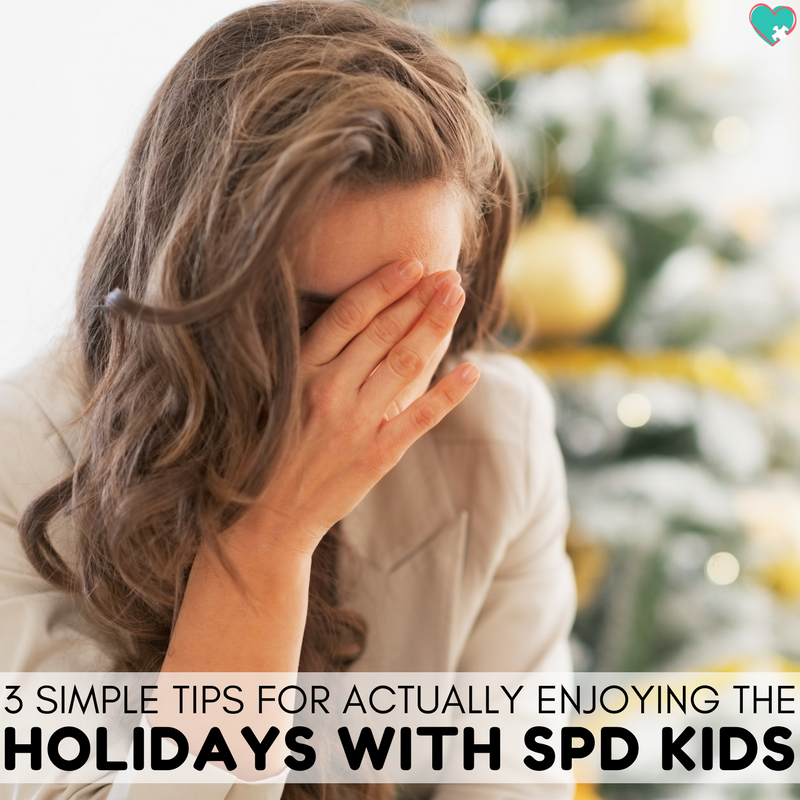 See, most kids love the holidays, so if your child struggles with them it can really throw people off. Try to be patient with these questions, even when it’s difficult. I’ve noticed that if I come to an event prepared, it helps me keep my calm and not lose it before I even have a cup of cocoa. So these are a few questions special needs parents face during the holidays so that you can prepare yourself! Doesn’t He Eat Real Food? I get asked this at every family party ever. A-Man has an extremely limited diet. The only meat he eats is chicken nuggets (only from specific brands). He sticks to mainly carbs like crackers, cereal, chips, breads, etc. And we have yet to find a vegetable that he will eat. Every holiday is a struggle with all of the new and potentially triggering foods, so we always bring snacks that we know he’ll eat. During Christmas, though, he often eats a few too many Christmas Cookies for my family’s liking. Or maybe someone gets offended when he refuses to even try the meal they’ve spent hours making. Short answer? No. I’m not going to make him eat. Because he’s a person who is perfectly capable of making his own choices. His brain makes him truly believe that unfamiliar foods are as awful as poison, and I’d rather not force-feed my child something that will make him sick. Thanks for asking, though. Is he EVER in Trouble for ANYTHING? This can come from well-meaning adult family members, but it also often comes from the other kids at a holiday gathering. If they get in trouble for shouting too loud, but then someone makes an excuse for A-Man, it can be really frustrating. I totally understand this question, but it can get disheartening to hear it over and over again. The thing is, yes, A-Man gets in trouble just as often, if not more often, than other kids. But A-Man’s “trouble” doesn’t look like other kids’ “trouble”. Often when he gets in trouble we call him over to us for deep squeezes, or we give him a sensory-friendly toy, or even sometimes a snack. Because of his autism, expressive communication delay, and severe sensory struggles, traditional punishments don’t work. If I had a $1 for every time that someone started a question this way, I would never have to worry about paying for one of my son’s therapies again. Let me give the short answer. Yes. I have tried. Whatever you’re about to say, I’ve tried. I try so much stuff that whenever my son’s therapists (you know, the ones whose job is literally to give me idea to try) start a question like this I’ve tried it already. I will say, there is one big exception. If you’re giving me a suggestion on how to make A-Man appear more neurotypical or “cure” his autism, I haven’t tried it and I won’t. 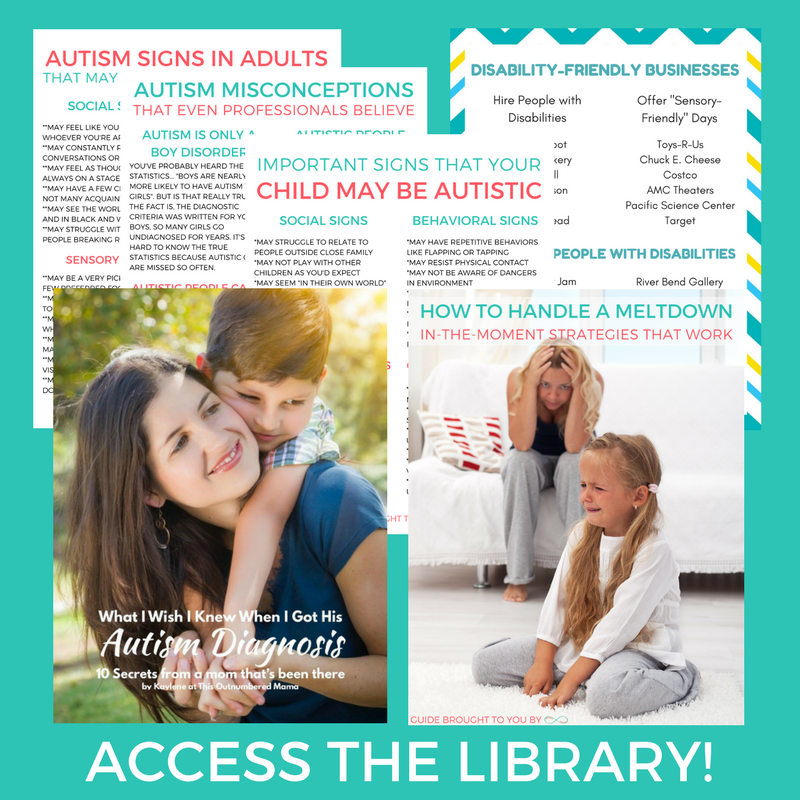 Autism is awesome, we have no desire to get rid of it. Again, this is a suggestion often given to me by well-meaning family members. No. 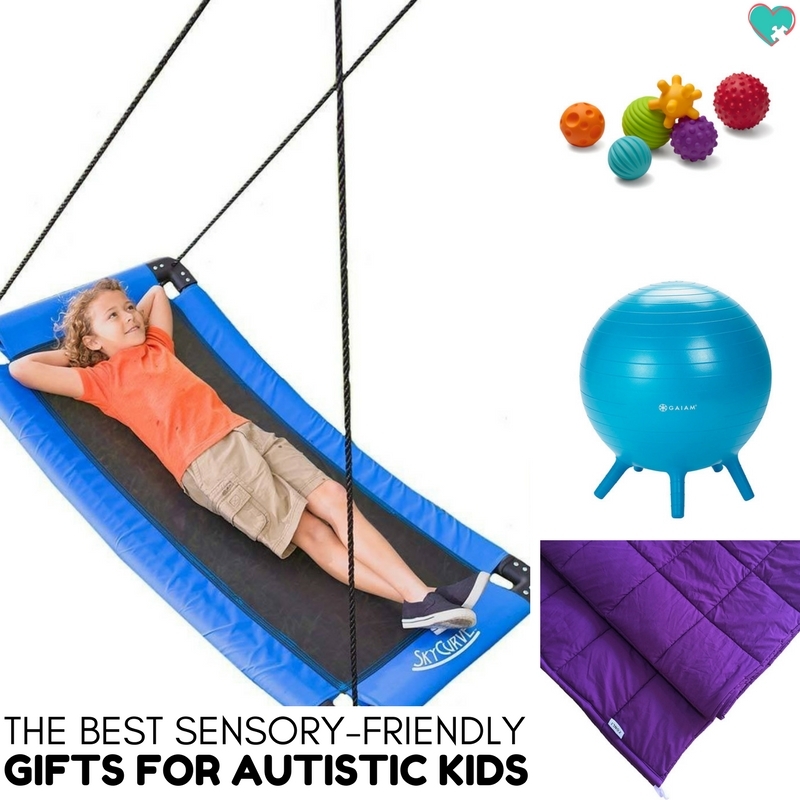 I can’t “just” anything with an autistic child. And honestly, it’s never a “just” type of thing. Listen, I understand that family and friends totally mean well with these questions, and I don’t actually take offense to them. They just really start to wear you down when you hear them over and over again from October to January. It’s like when you work retail and you hear the awful “Muzakk” Christmas playlist for 4 months. It ruins Christmas music for you. 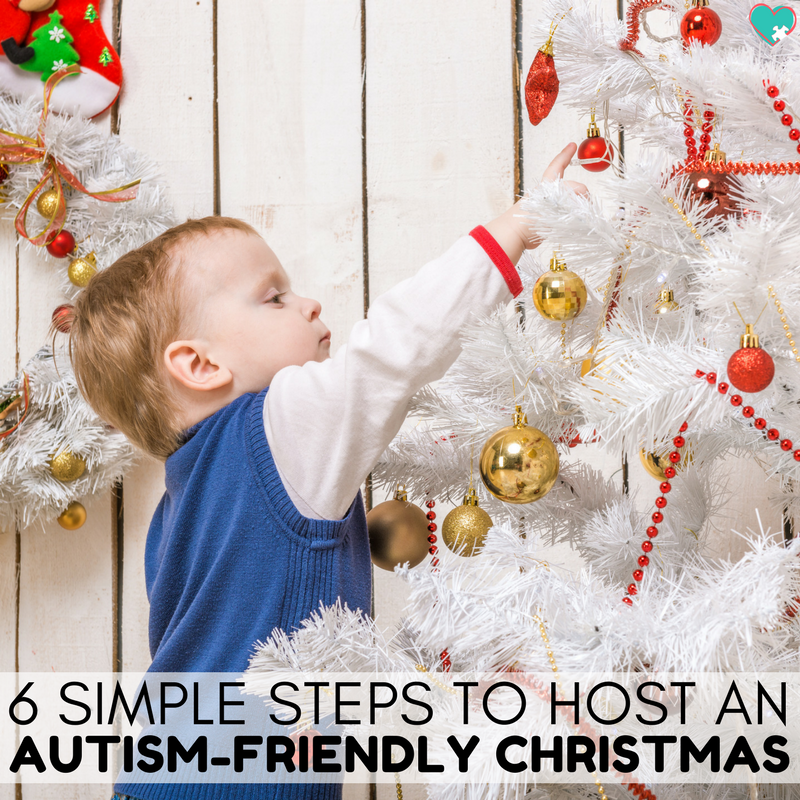 You can learn more about how to survive the holidays as a special needs parent below! I was never forced to eat anything as a kid. If I were forced to eat stuff, I’d be a lot more distrustful and get into more trouble than I already do.